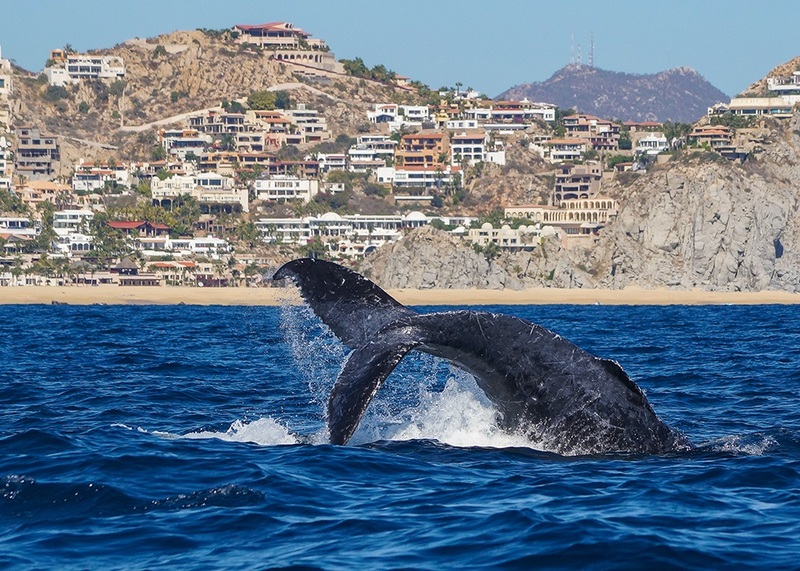 The holiday season is here and members of the Northern Pacific population of humpbacks are slowly but surely making their way into Los Cabos waters. The level of activity for this early in the season is quite impressive. 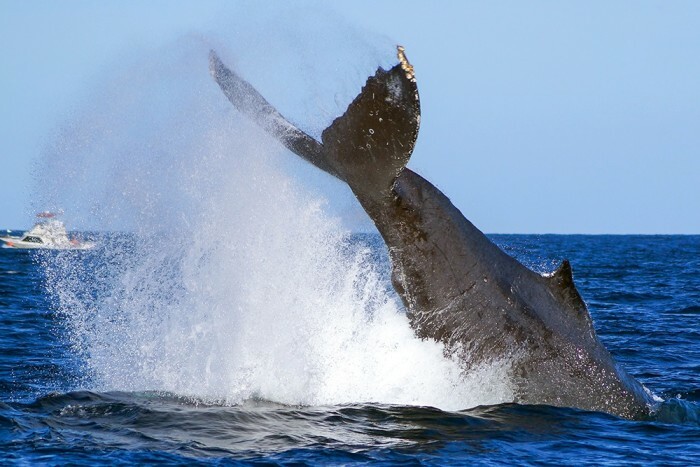 We at Cabo Trek, have had around half of our Whale Watching Tours here in Cabo San Lucas, witnessing breaches as well as other behaviors such as spy hops and even a peduncle throw. You may be asking, “What the heck is a peduncle throw? ?” This is why our weekly whale behavior blog will be covering that exact subject. A peduncle throw is an uncommonly seen behavior which acts as a direct identifier of whale aggression. This occurs when a whale forcefully throws his caudal peduncle and fluke out of the water sideways, crashing on the surface of the water, or possibly onto another whale! This is mainly seen later in the season when the larger males begin to arrive in the Los Cabos area, usually beginning mid January. Although whales do not see colors very well, they do recognize shapes. It is believed that whales will complete a peduncle throw in the company of other males to assert dominance and win the affection of females in the area. Since whales are mammals, like humans, they are very unpredictable and tend do crazy things when looking for love! We hope that the activity level continues to pick up as we have still not yet reached the heart of the season. And if you’re interested we have a drone that can be used for incredible aerial footage, contact us for more informations! We hope to see you on our next trek to see these massive creatures in their natural habitat. Until then have a good week and happy holidays.